But New York City’s taxation system puts community property at risk: when such organizations do not apply for and annually renew the tax exemptions they are entitled to get from the City under New York State law, the City sells the accumulated debt to private entities for collection and potential foreclosure. See if my property or properties in my neighborhood are at risk and find out how to fix it! Read more about this in the news! Find out how to renew and keep my nonprofit property tax exemptions! 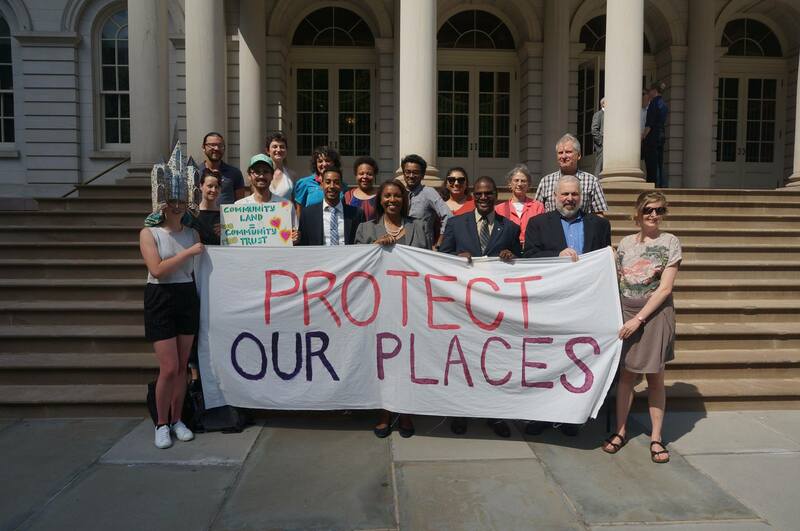 Support community properties by changing policy and protecting places in my neighborhood! HOW DO I KNOW IF MY NOT-FOR-PROFIT’S PROPERTY IS AT RISK? Is our community property heading towards the 2018 Lien Sale? Non Profit Owned Properties on the eligible for the 2018 Tax Lien Sale are listed here (this is the 10-day list, published 10 days before the May 17 deadline to be removed). (Download excel from here). The city plans to finalize the list on May 17, 2018. Most are on this list due to property tax exemption mix ups, though some are there because they have not paid their water bills. You can see a map of them below (pending update) and a list that we are compiling that includes organization names here. Find out if you are eligible for exemption using the Department of Finance’s new eligibility tool, part of their new micro-website for Non Profit administrators that was created in response to our collective advocacy. Our property is on the list! What do we do? For more information about water debt, look at the DEP Application for Exemption from Water and Sewer Charges. Is our organization’s property heading towards the 2019 Lien Sale? Non Profit Owned Properties that need to renew their exemption for 2018 will soon be listed here. Here are the renewal instructions. Is our community property at risk due to its debt being improperly sold in previous years? This mostly happens due to property tax exemption mix ups, though some are also at risk because they have not paid their water bills. Find out if your place is at risk from having debt sold in previous years here. Please check for places that matter to your communities and help connect advocates and organizers! I have to APPLY for property tax exemptions? Yes! Property tax exemptions are NOT automatic in NYC, even if an organization is exempt from federal income taxes. When do I have to submit my renewal application? Every year. This year, renewal applications were due on December 27, 2017. How do I submit my renewal and what information will I need? You must submit your renewal applications online at www.nyc.gov/commercialexemptions. You will need your user ID and password that was included in a letter sent by the Department of Finance in October. If you did not receive a letter in October with this information, call 311 and ask to speak with a representative in the Not-for-profit Tax Exemptions Unit, or use this form. 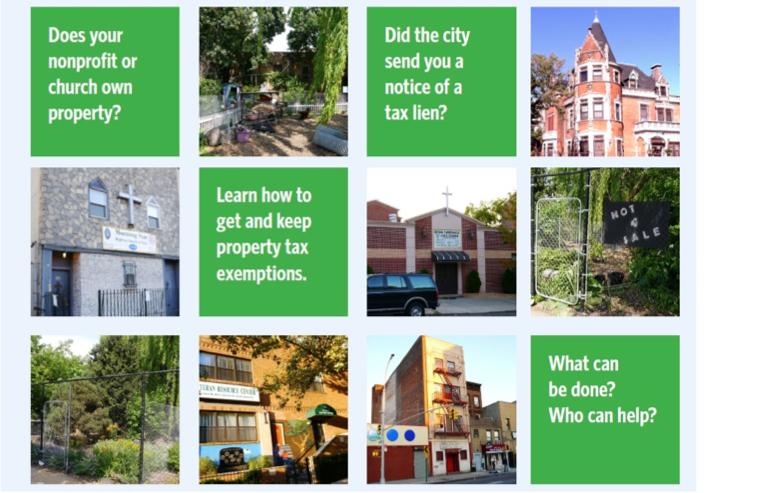 WHO CAN HELP YOU GET AND MAINTAIN YOUR PROPERTY TAX EXEMPTIONS? You! Do you know an organization that owns a property that should be tax exempt? Don’t assume that it is. Find out from the administrators and help them apply for and keep the exemption that will save the community thousands of dollars. Many small not-for-profits have never applied for available property tax exemptions due to a lack of information; their members simply pay property taxes as billed to them every year. In many cases, individual members actually receive and pay the bills for years or decades out of personal funds because they see the risk of losing their church, garden or other key community property as too great and have never realized that other options exist. When those members move away, die or stop paying for personal reasons, community anchors are threatened. The tax lien sale allows properties acquired through charity and public money to become private properties when buyers of the tax debt foreclose. For help with property tax exemption applications and renewals, or if you receive a tax bill that you think you should not have received, call 311 and ask for the “Department of Finance Not-for-Profit Tax Exemptions Unit.” Their website is nyc.gov/notforprofit. You can email notforprofit@finance.nyc.gov. If you receive a notice of a pending tax lien, call (212) 440-5408. See nyc.gov/liensale. Visit http://council.nyc.gov/html/members/members.shtml to find your City Council Member by entering your home address. 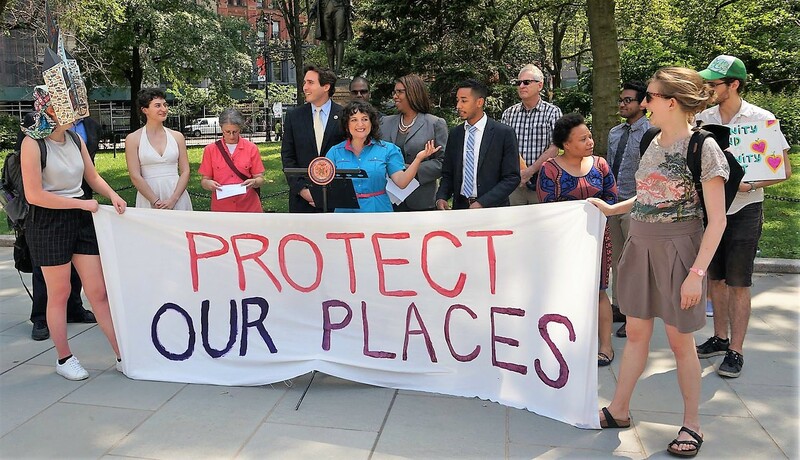 ACT NOW TO CHANGE POLICY: Help pass Intro 0245, new legislation re-introduced by Councilmember Reynoso this February that will exempt nonprofit-owned properties from the tax lien sale. Let’s get it done before the 2018 sale is prepared this May. Find out how here, or simply share any of the articles under PRESS above and tag your councilmember, asking them to sponsor Intro 0245. REACH OUT TO PLACES IN YOUR NEIGHBORHOOD: We’ve found in-person visits to be most effective! Use the map and information above to hit the ground and get the word out. 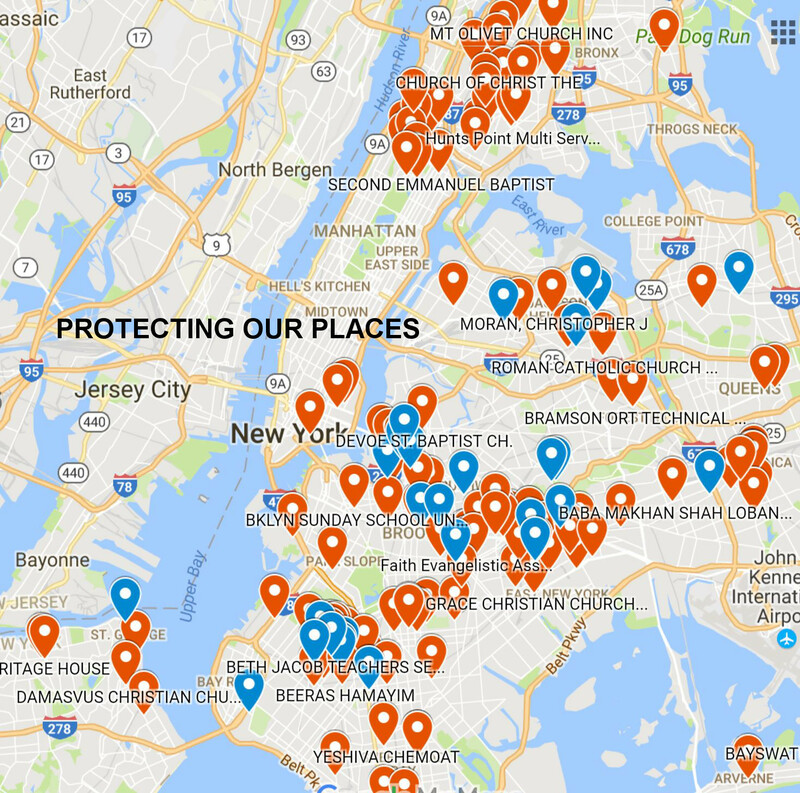 HELP PROTECT PLACES FROM ILLEGAL FORECLOSURE: Debt on these places was improperly sold to private speculators between 2011-2017. Follow these steps to protect places before speculators initiate foreclosure, which could lead to sale at auction to the highest bidder.